Almost every week finds me searching for new weather vanes. Most times the hunt takes me to areas I know, but this past weekend, we drove to a town we rarely visit, Salem, New Jersey. On the way we passed barns, silos, and many open fields. In one of those fields two large birds drew our eye. At first glance we thought they were vultures, but then noticed the eagle-like head. 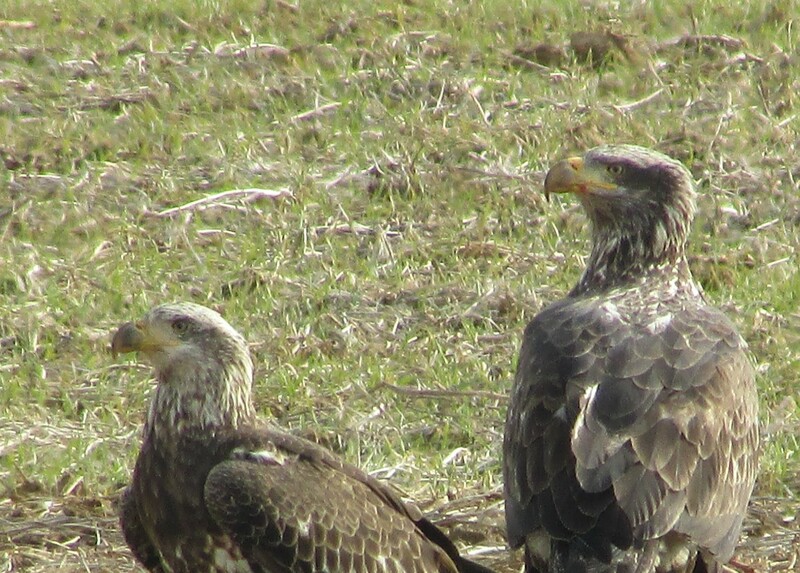 This is the first time I’ve been able to see and photograph juvenile bald eagles. According to the Cornell Lab of Ornithology it takes about five years for a young bird to attain its adult plumage. I did find some good weather vanes on the drive. 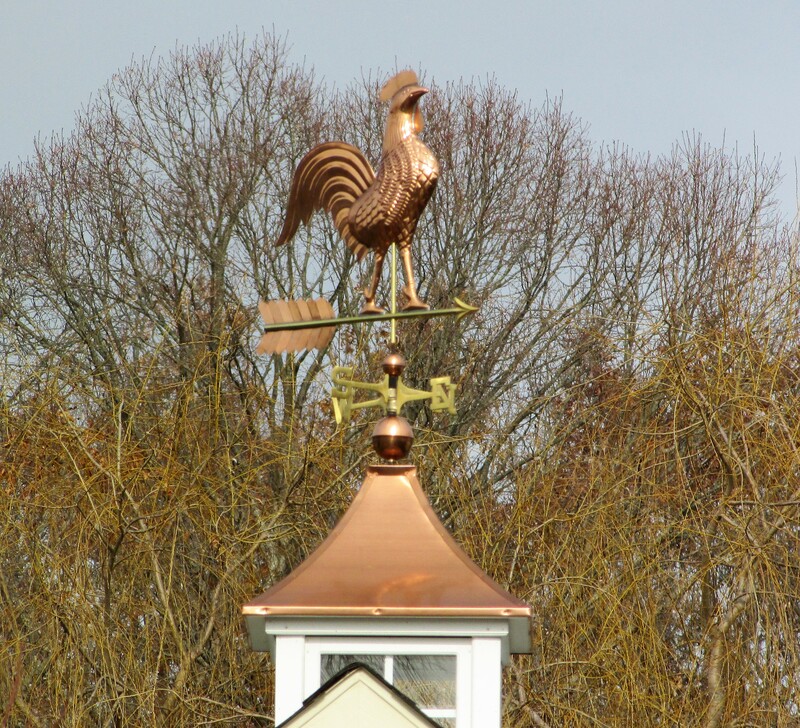 A cockerel is a commonplace weather vane, but this brass and copper rendition is far from common. I consider it a classic remade into something extraordinary. Salem is an old town, established in the 1600’s. I had limited time to take photographs or explore the town. We visited the weekend the Christmas Parade was scheduled, and were hardly able to drive through the town at all. As we left the main street the police and firemen were beginning to put up barriers for the parade. 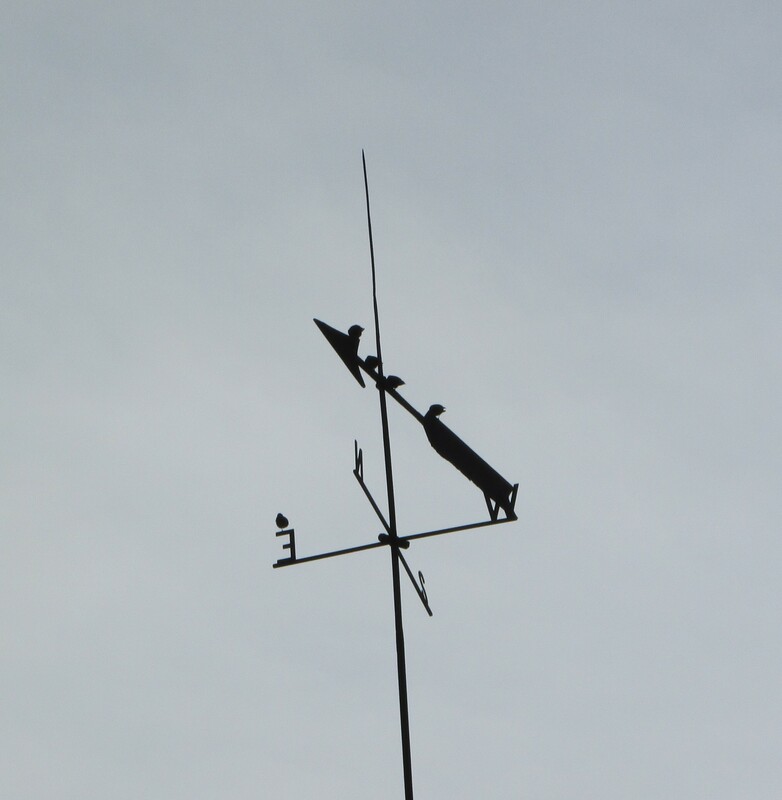 I did take a photo of two of the weather vanes. This one was very large and looked to be a favorite perch of some starlings. I know I’ll make another trip to Salem soon and take a few more photos for the challenge. We were thrilled. They are so young they still haven’t developed the distinctive white feathers. I didn’t know that it took eagles that long to mature. Great photo of the little guys. 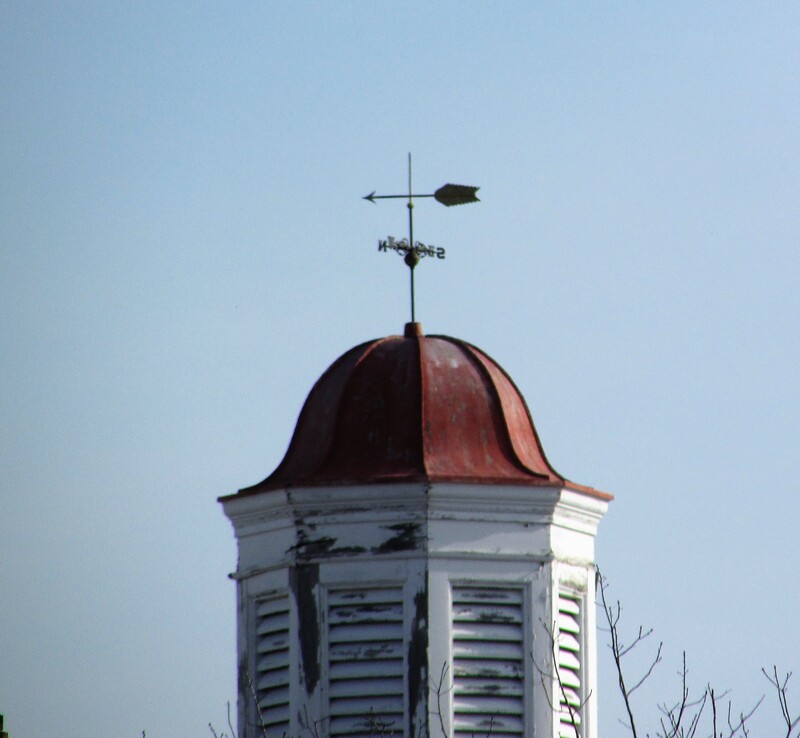 I couldn’t tell you the last time I saw a weathervane. I’m intrigued by your challenge so will check back to see what other ones you find. I didn’t either until recently…I thought they had white heads soon after leaving the nest.